Going to college is a big decision. Whether you are returning to the classroom after some period of time, beginning an education later in life, changing careers, retired, unemployed, building a skill set, or seeking personal enrichment, Anoka-Ramsey is the right place for you to earn a degree or certificate to meet your goals. We invite you to explore outstanding academic programs, flexible credit options, free tutoring, lowest-cost tuition in Minnesota, small teacher-to-student ratio, fine arts and athletic programs, and student clubs. Please visit the Adult Learner Services Coordinator to learn more about all the options available to help you success in college. Personal connection and support - we will keep in touch! "Anoka-Ramsey is accessible. I can accomplish the credits needed for transfer, schedule an appointment with my advisor not having to wait more than a day usually, access tutoring services and teachers all at the Cambridge Campus, which is convenient and close by. I have used advising which is great when I am looking for options in my class scheduling and assistance in transferring credits from another educational facility. I have also used tutoring which is a great resource when I feel like I am struggling with a particular area of a subject. As long as you are willing to put forth the effort for your education, the resources to help you continue in your education are always available at Anoka-Ramsey." "Location, price, helpful staff and opportunity for a better future, Anoka-Ramsey offers it all! 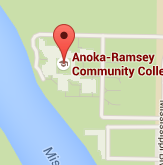 Anoka-Ramsey is a great resource to someone who would like to enhance their future with a better education." "Knowledge via a good education makes a person better able to understand and care for others. I want to be a better person and live a fuller life as an educated person. 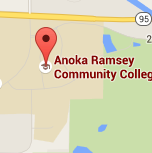 That’s why I chose Anoka-Ramsey. It provides a great education at very good value."